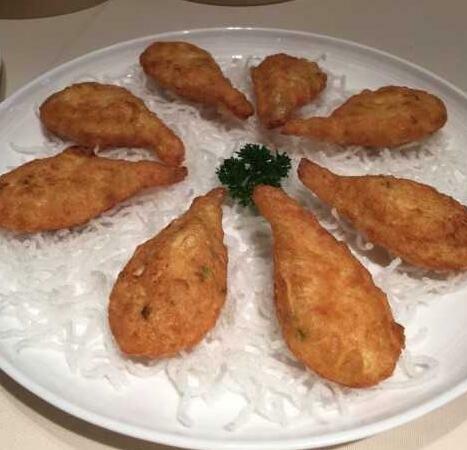 When it comes to food, whether you want to do a vegetarian dish, friendly party, family night out or a stay at home family dinner you can never go wrong with the Chinese recipe. This is because there are many kinds of meals associated with this culture and invention of new ones happen every day. Pipa tofu is one of the major delicacies for the region. While there are people who will turn their heads to another side at the thought of tofu. It is a very luscious dish that only requires creativity of the chef. 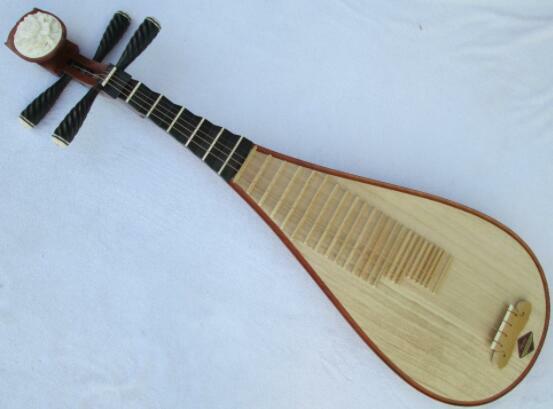 For you to understand clearly what a Pipa is, you need to know where its name comes from. Pipa is one of the oldest Chinese musical instrument. For over 2000 years it has dominated the musical industry. Its body is wooden in nature and has a pear-like shape with 12-26 frets. 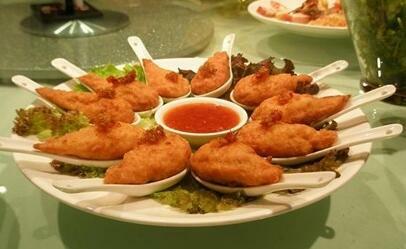 To be precise, the Chinese tofu dish assumes the shape of a traditional pipa musical instruments. 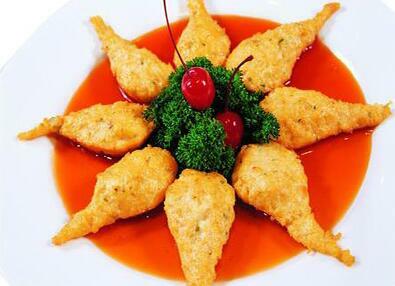 Although it is less common nowadays, you can find it in most Chinese restaurants around the world. To begin with, it is important to know that the major ingredient in the recipe is tofu. However, creativity varies and like earlier stated different chefs use different ingredients to enhance the taste. 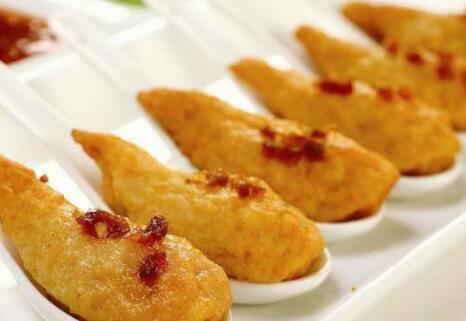 The most common taste enhancers are minced pork and prawns, dried scallops, dried shrimps and ham. Take one cup of warm water and soak in the mushroom for about 30 minutes. Then drain the water in a clean cup and reserve for use in making the sauce. Take the soaked mushrooms and finely chop while you slice a few others. In a food processor, mash the tofu to a paste and place in a clean bowl. Mix the chopped mushroom, flour, carrots, cilantro, egg white salt and pepper. Ensure you mix it thoroughly and scoop a spoonful to mould into the shape of a pipa. Place on a plate and pinch one side to enhance the shape. Meanwhile, cut the green part of the onions into 4 cm length and the white parts diagonally. I prefer steaming the tofu for about 5 minutes in a steamer to drain off the excess water which you will later use as stock. After the steaming process, let the tofu cool for a little while then lightly coat them with plain flour. Heat your oil in a wok and deep fry the tofu until they are golden brown in colour. Since you steamed the tofu, you only need to have the crispy outward texture. Remove from the hot oil and place on a bowl/plate with paper towel to drain off the excess oil. Drain off the remaining oil and clean the wok. Now, we are going to make the sauce. Place your wok or saucepan on the stove, pour 2 tablespoons of fresh oil. Stir-fry the ginger, mushrooms and the veggies you have. Add either the mushroom water or the stock that you made to the stir-fried vegetables. Let it simmer then add either your Shaoxing wine or sherry, soy sauces, salt and pepper. Continue to simmer. Add your stirred potato flour to the mixture as you continue to stir and check for your desired consistency. For garnishing and flavour enhancement add the green parts of the spring onions. Continue stirring for about a minute then add the sesame oil stir and remove from the heat sauce. S tablespoons of scallop sauces, oyster sauce and hoisin sauce. In the food processor, place all the ingredients that you use for making tofu and mash until they are fine. Note, if your mushroom is hard, blend it first before adding other ingredients. If the mixture appears too watery, add some corn flour to make it a pliable dough. It doesn’t mean that if you don’t have a food processor you will not be able to make the patties. You can use your chopping board to mince all these ingredients. You will be using the duck spoons, so lightly grease them and put the batter on the spoon as you press firmly. We will make about 15 pieces so if you don’t have all those spoons you will need to recycle. For 10-15 minutes steam the batter in the spoon over high heat. Remove from the heat source and let them cool. It’s time for you to coat the tofu patties. In a clean bowl place your beaten egg and put the mixed corn and rice flour in another bowl. Take the tofu and dip in the beaten egg then roll in the flour that is in the other bowl. Make sure it is nicely coated. In a clean pan, shallow fry the tofu under medium heat. Cook both sides until they develop a golden-brown colour. Blanch your vegetables, drain and set aside. In a clean bowl, place all your gravy ingredients and mix evenly then place some oil in a pan and fry the ingredients while letting it thicken. On your best plate, put your tofu patties and use the blanched vegetable to garnish and pour the sauce on top of the pipa tofu. Cornflour and salt to taste. Soak your mushroom for about 30 minutes, drain the excess water in a cup and set aside. Mash the tofu in a food processor and place in a plate. Place the remaining ingredients that you use to make the tofu pipa in a food processor making a consistent paste. Mix the paste with the tofu and add some cornflour to make it thick. Pour the paste in the Chinese spoons and place into a steaming machine to steam until nicely cooked. Set aside to cool. Place on a clean plate. Heat your stock and soy sauce. Let it simmer for some time. To develop a good consistency, add corn flour as you stir. For garnishing, you can place some onion pieces and salt to taste. Pour over your tofu and serve hot with rice. You can air fry the patties for a healthier option or use the steaming method of cooking. There is no restriction as to which vegetables you should use for the cooking process. Take whichever type suits your palate needs. If you will use a steamer, make sure it is not overly hot because that may make the pipa tofu hardened. Be careful with the temperature when you begin to brown the pipa tofu to avoid over frying. If you don’t have rice flour for your thickening, use your potato flour or corn flour. It is best to use dried shitake mushroom but if you have fresh ones you may use them as well. Spring onions are best preferred because of the flavour they add to the meal. Making the tofu’s crispy is appealing. The ingredients used to make this meal are healthy. A good example is the tofu which is rich in protein from soya. In fact, it lowers your cholesterol and may be of help to those approaching menopause. It reduces the side effects experienced at such times. The same applies to prawns and mushrooms. Prawns have 20% proteins they contain higher protein content than seafood and eggs. The chef may decide to make it healthier by using more vegetables as opposed to meat. As you can see, it is very easy to make this delicacy. You get to choose how you want it whether deep fried, shallow fried or steamed. I think all this depend on your health choices. The preparation time may be about 30-45 minutes which make it appropriate if you are in a hurry. In addition, if you decide to use the steaming version you will be consuming a nutritious meal. So, there you have it go ahead and try the recipe yourself and remember to give us feedback. I’d definitely go for the vegetarian version they look amazing!